Dr. Michelson is Professor of Pediatrics and Professor of Medicine at Harvard Medical School in Boston, Massachusetts, U.S.A. He is also the Director of the Center for Platelet Research Studies and Director of the Thrombosis and Anticoagulation Program at Boston Children’s Hospital, the primary pediatric teaching hospital of Harvard Medical School. Dr. Michelson holds joint appointments at the Dana-Farber Cancer Institute and Brigham and Women’s Hospital in Boston. Dr. Michelson is the editor of the textbook Platelets (Elsevier/Academic Press), which integrates the entire field of platelet biology, pathophysiology and clinical medicine into a comprehensive source of knowledge about platelets for clinicians, pathologists, and scientists. The first edition of Platelets, published in 2002, was the winner of the Best Book in Medical Science award from the Association of American Publishers and was called “landmark” by the New England Journal of Medicine. The 64-chapter, 1353-page third edition of Platelets, published in 2013, was the winner of the Highly Commended prize in the category of Internal Medicine, British Medical Association (BMA) Medical Book Awards. The fourth edition of Platelets was published in 2019. In 2019 Dr. Michelson received the International Society on Thrombosis and Haemostasis (ISTH) Esteemed Career Award. He has published more than 450 original research articles, original research abstracts, and invited reviews. Dr. Michelson has been the principal investigator on more than 100 research grants. He has been an invited speaker at over 200 major medical conferences worldwide, as well as an invited participant in numerous National Institutes of Health (NIH) working groups, international workshops and consensus conferences (including Antithrombotic and Thrombolytic Therapy: American College of Chest Physicians Evidence-Based Clinical Practice Guidelines). Dr. Michelson is the co-organizer and co-chair of the biennial International Platelets Symposium. He is a past Chairman of the Platelet Physiology Scientific Subcommittee of the Scientific and Standardization Committee (SSC) of the ISTH. Dr. Michelson is an inventor on two awarded and three provisional U.S. patents. After receiving his medical degree with honors from the University of Adelaide, Australia, Dr. Michelson continued his medical training on a Fulbright Scholarship at Boston Children’s Hospital, Brigham and Women’s Hospital, and Harvard Medical School. 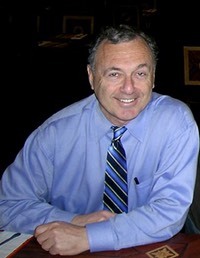 Dr. Michelson was awarded an honorary Master of Arts degree by Harvard University in 2010.